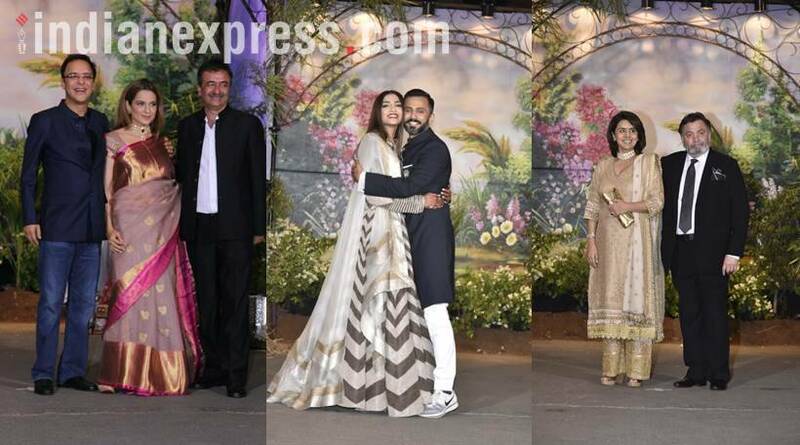 Bollywood star Sonam Kapoor's reception looks like the grand affair people had thought it would be. 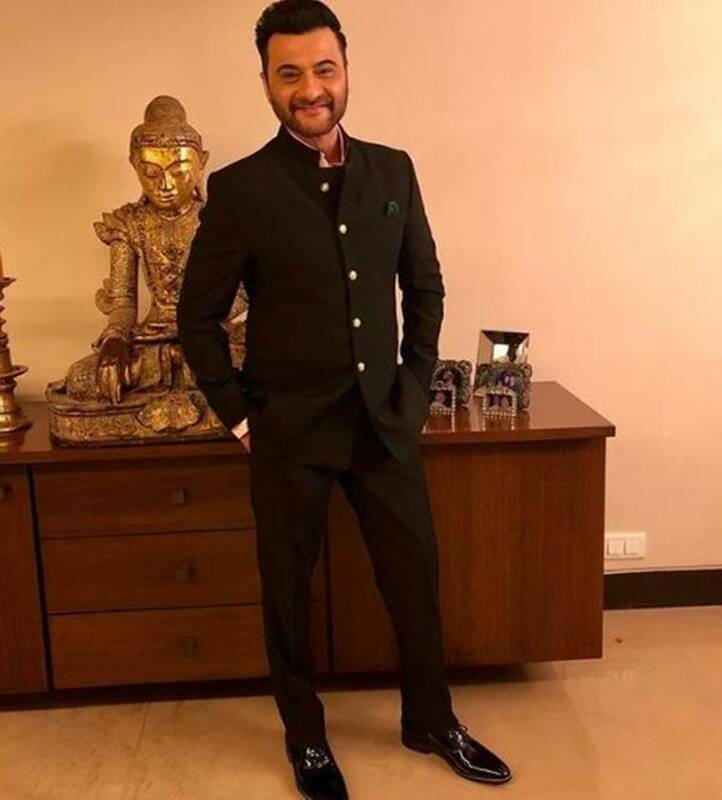 Sonam Kapoor, who tied the knot with Delhi-based businessman Anand Ahuja today in Mumbai, had called the who's who of Bollywood to the bash. 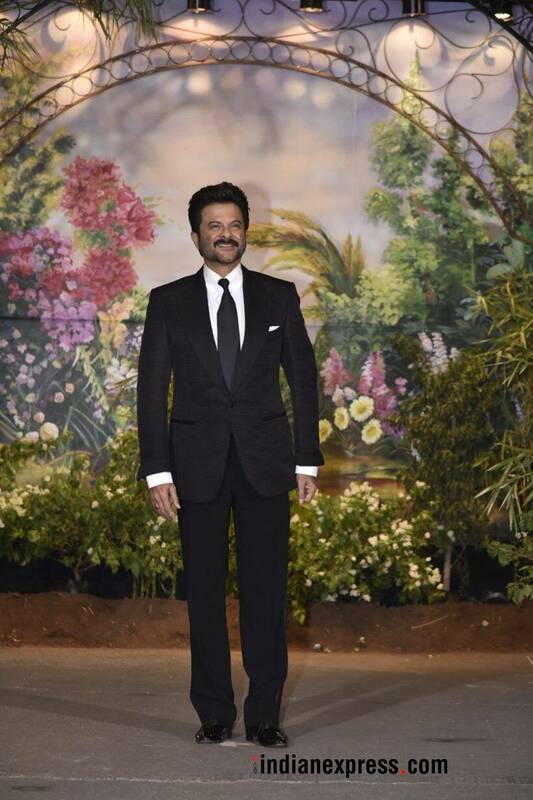 Father of the bride Anil Kapoor looked as dashing as ever in an elegantly cut suit. 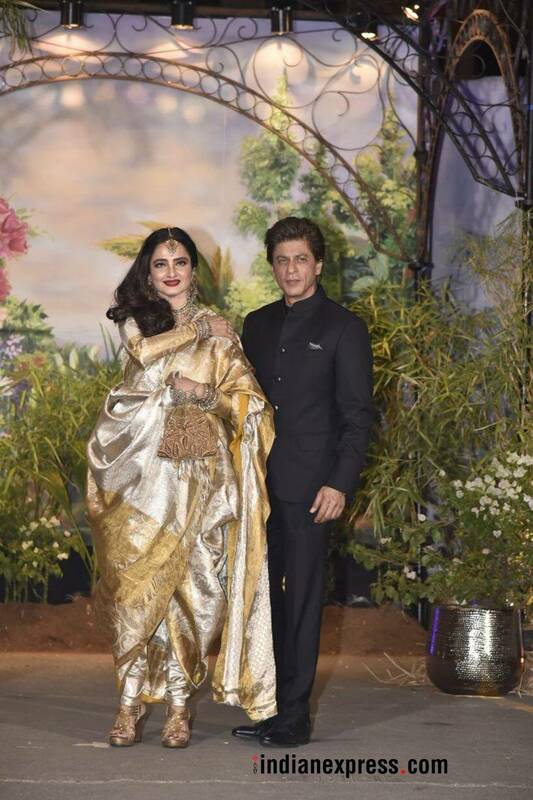 King Khan of Bollywood Shah Rukh Khan also made his way to the reception and posed for a picture with the veteran actor Rekha. 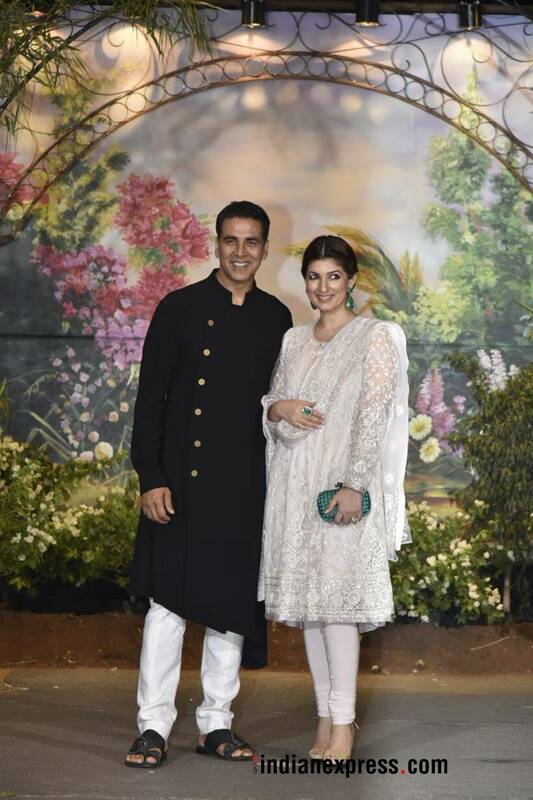 Akshay Kumar and Twinkle Khanna walked in at the reception looking their stylish best. 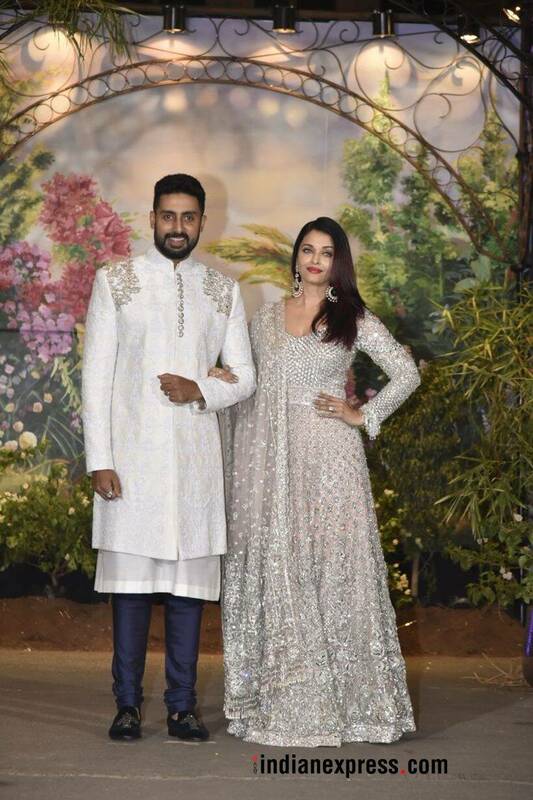 Aishwarya Rai Bachchan, who had not been present during the wedding, was seen at the reception with husband Abhishek Bachchan. 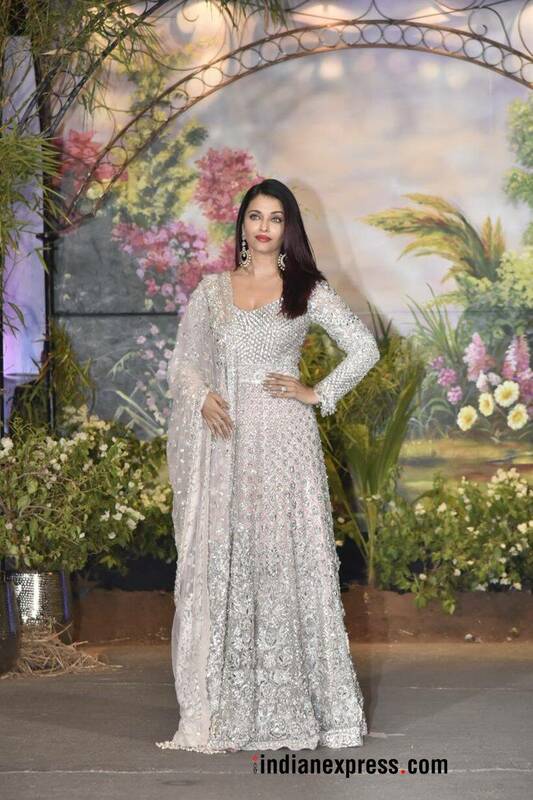 Aishwarya looked resplendent in white as she posed for the shutterbugs. 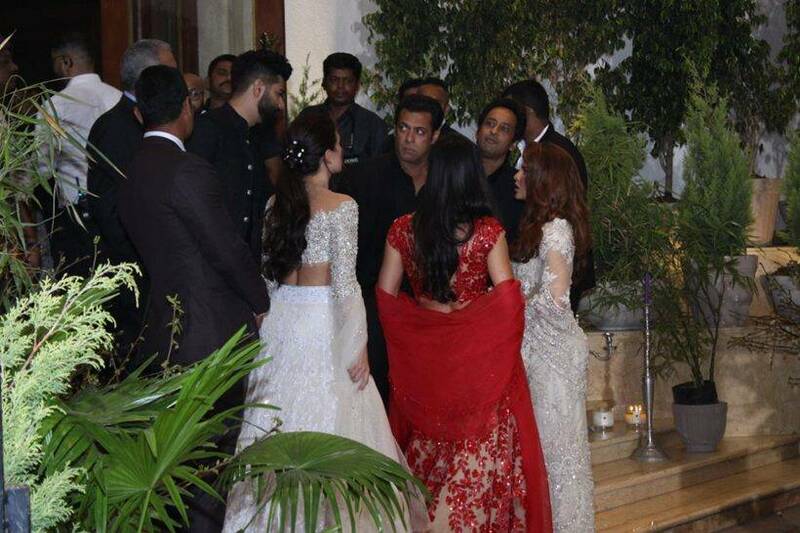 Bollywood's bhai Salman Khan was seen chatting with Katrina Kaif and Jacqueline Fernandez at the reception. 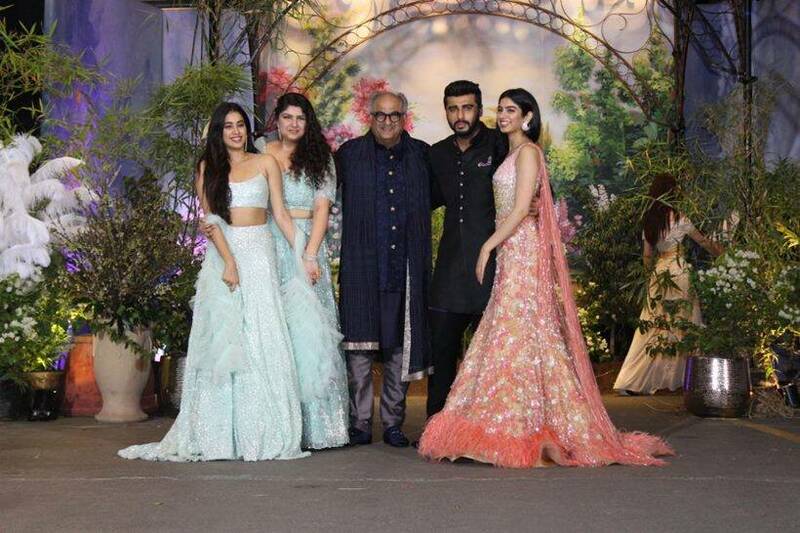 Arjun Kapoor, Boney Kapoor, Janhvi Kapoor, Khushi Kapoor and Anshula Kapoor were all smiles at their cousin's reception. 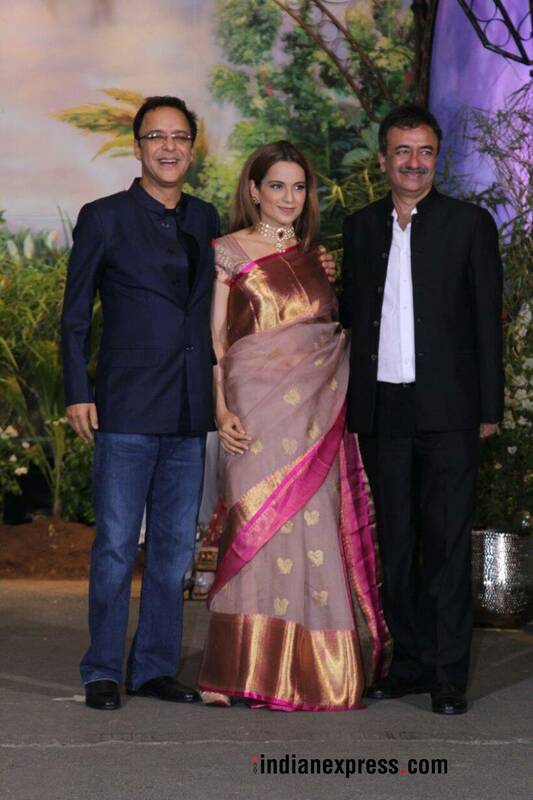 Manikarnika actor Kangana Ranaut also graced the event along with producer Vidhu Vinod Chopra and Sanju filmmaker Rajkumar Hirani. Katrina Kaif showed up looking like a princess in all-red. Ranveer Singh was caught in a light mood at the party. 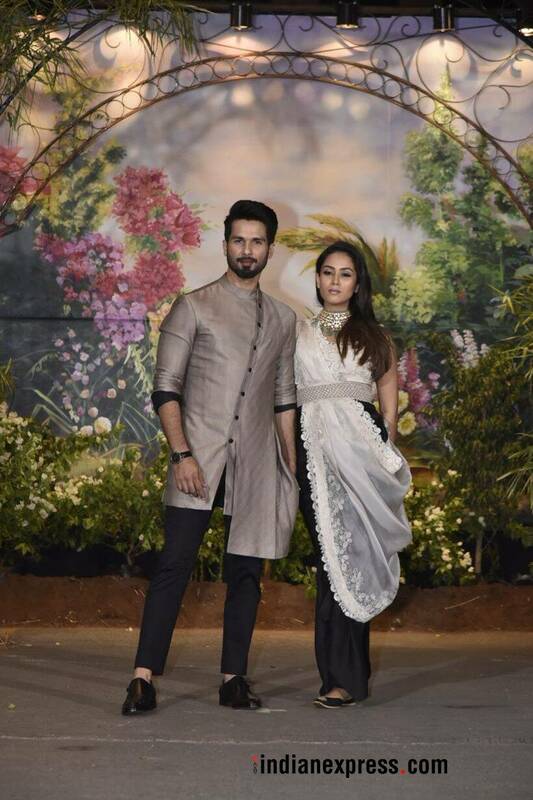 Bollywood's favourite couple Shahid Kapoor and Mira Rajput were clicked by our shutterbugs as well. 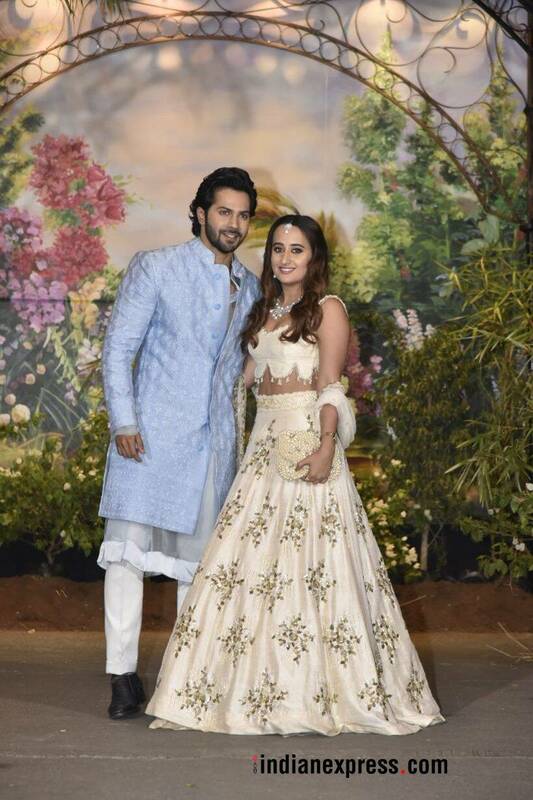 Varun Dhawan was seen with partner Natasha Dalal at the function. 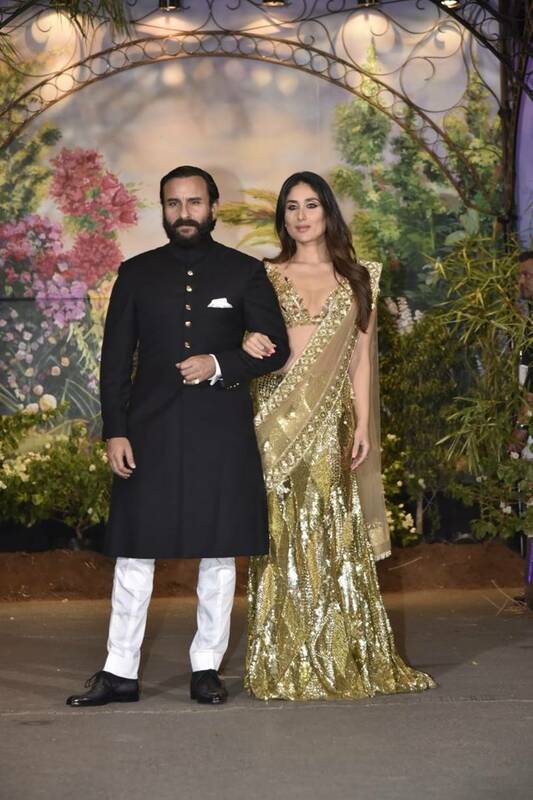 Saif Ali Khan and Kareena Kapoor graced Sonam's wedding reception. 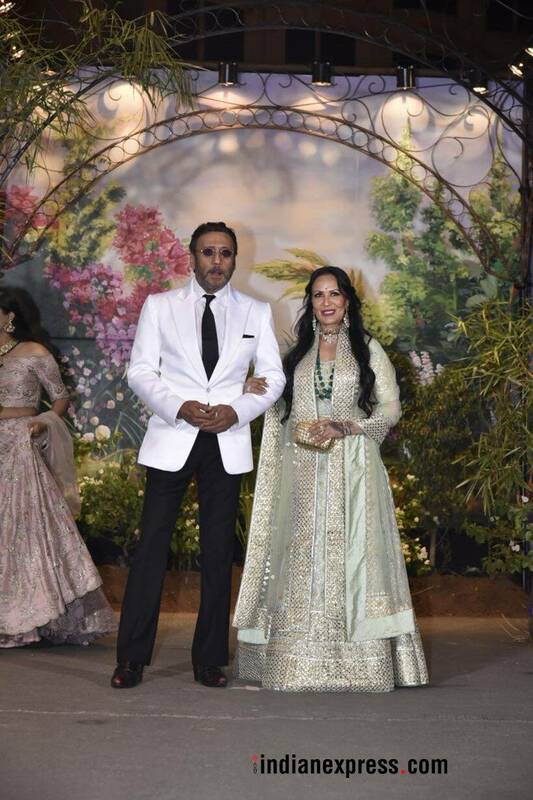 Jackie Shroff and wife Ayesha Shroff were snapped at the event. Brother of the bride Harshvardhan Kapoor flashed a smile for the camera. 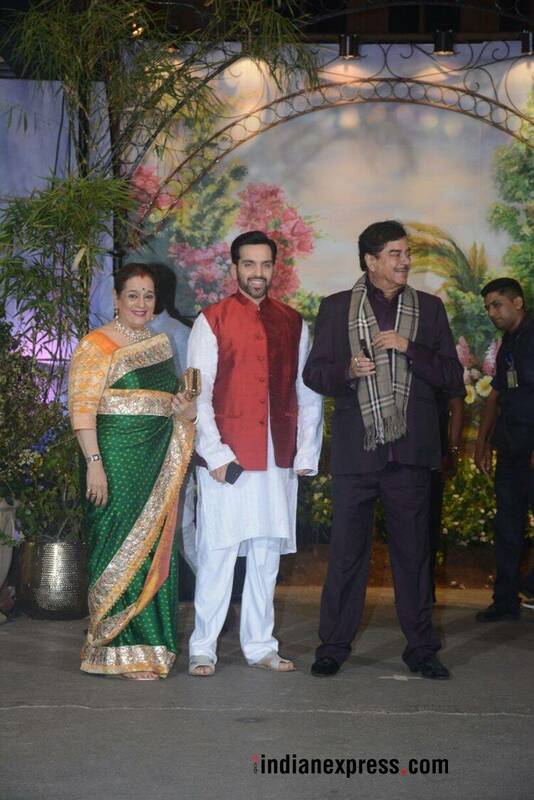 Former actor and politician Shatrughan Sinha also made it to the venue with his family. 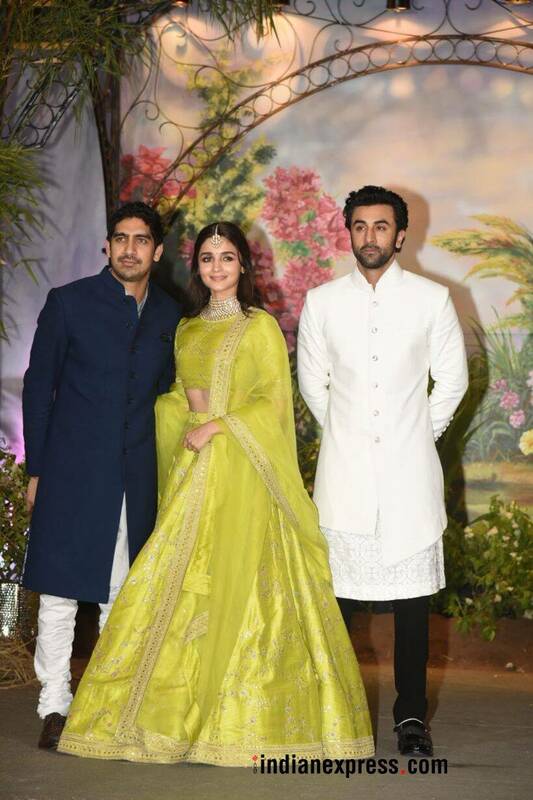 Alia Bhatt, Ranbir Kapoor, and Ayan Mukerji were also snapped at Sonam Kapoor's reception. 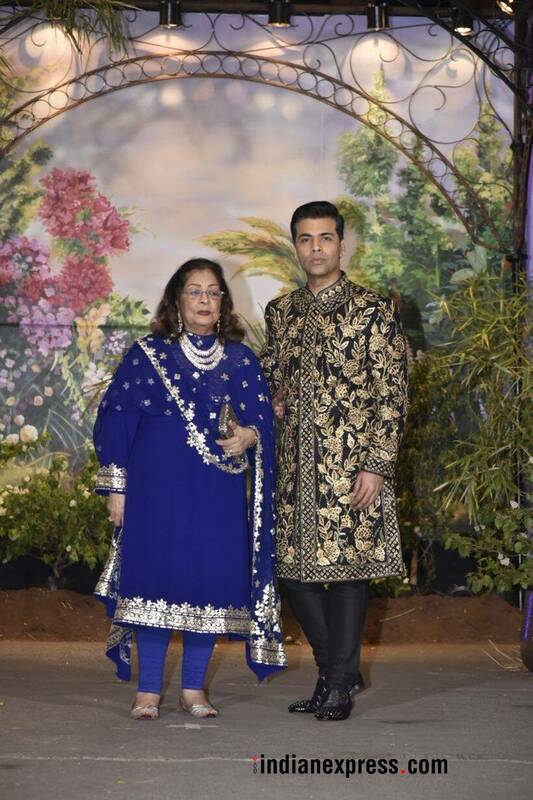 Karan Johar arrived at the venue with his mother Hiroo Johar. 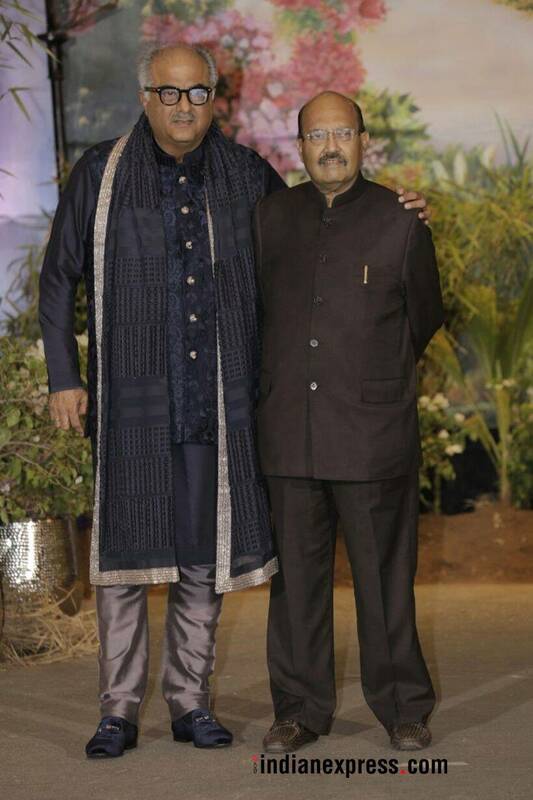 Boney Kapoor was seen at the bash with Amar Singh. 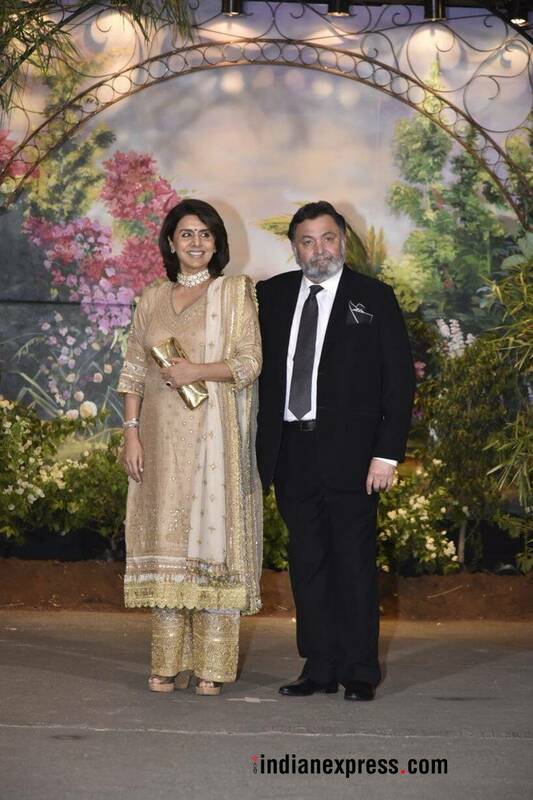 102 Not Out actor Rishi Kapoor was present with his wife Neetu Kapoor. Rani Mukerji also graced the big bash. 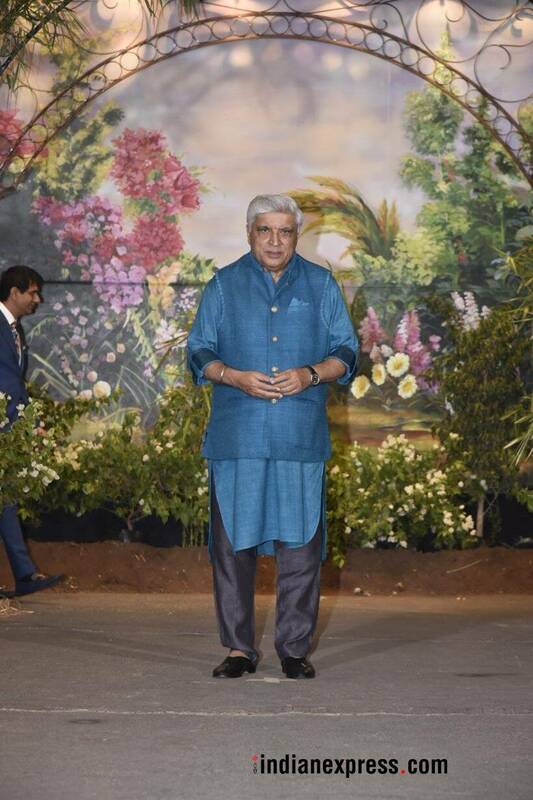 Veteran lyricist Javed Akhtar was also present at Sonam Kapoor's reception. Sonam Kapoor's BFF Swara Bhasker looked ravishing at the party. Close friend Jacqueline Fernandez was caught by the shutterbugs as well. 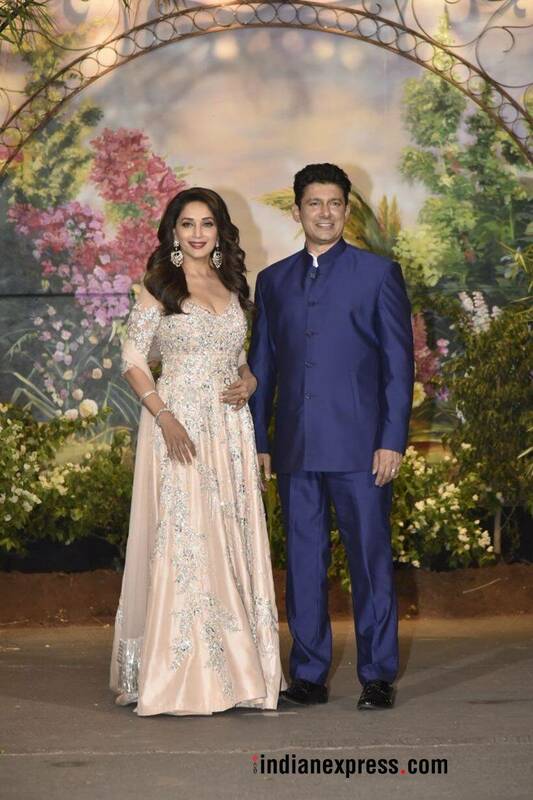 Dancing diva Madhuri Dixit Nene was present at the bash with her husband Sriram Nene. Television queen Ekta Kapoor was seen at the event. 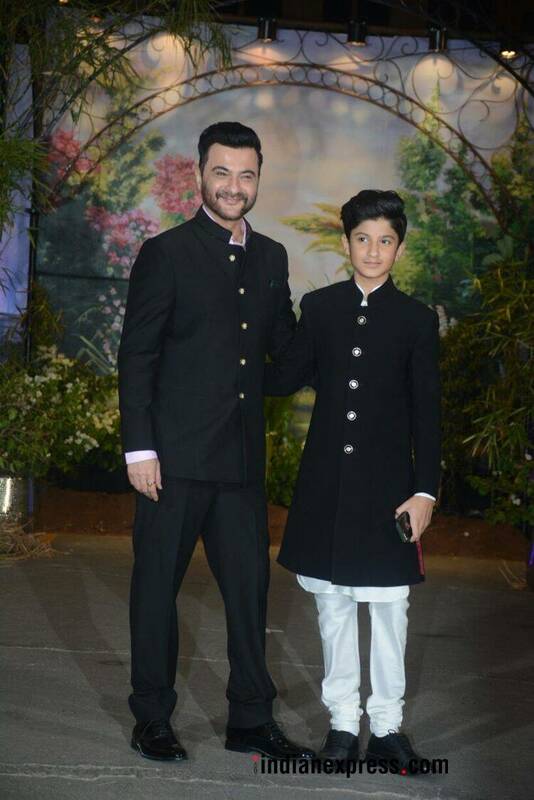 Sanjay Kapoor was later captured with his son Jahaan Kapoor at the event. 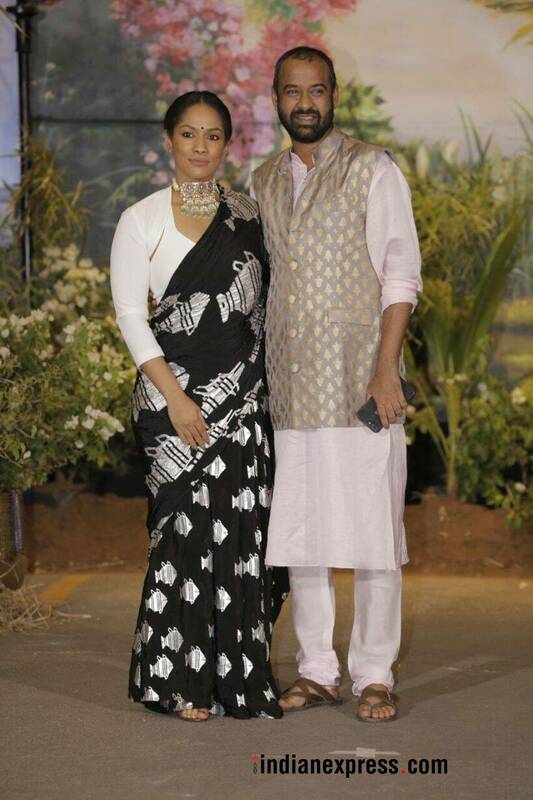 Fashion designer Masaba Gupta was present at the reception with husband Madhu Mantena. 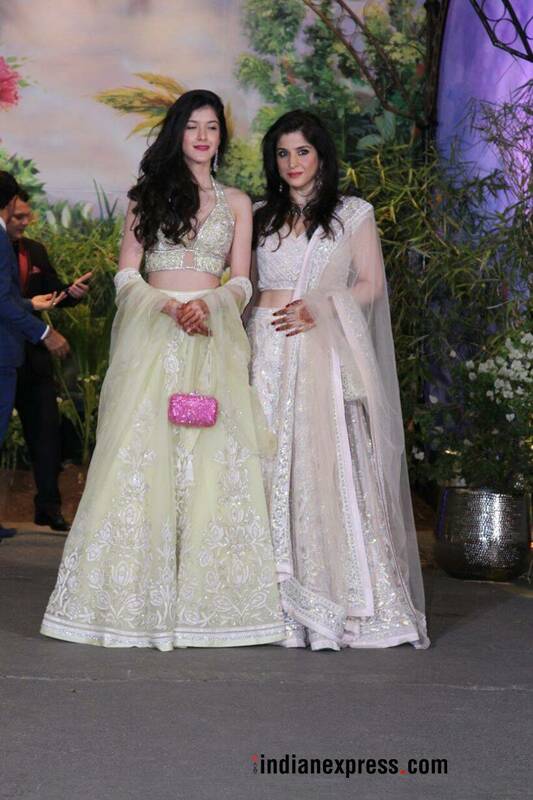 Sanjay Kapoor's wife Maheep Kapoor was seen with daughter Shanaya Kapoor. 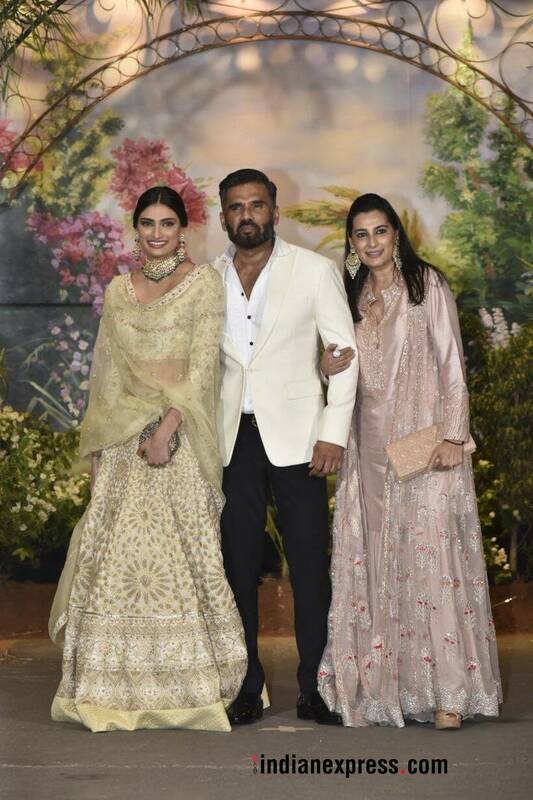 Suniel Shetty arrived at the reception with wife Mana Shetty and daughter Athiya Shetty. 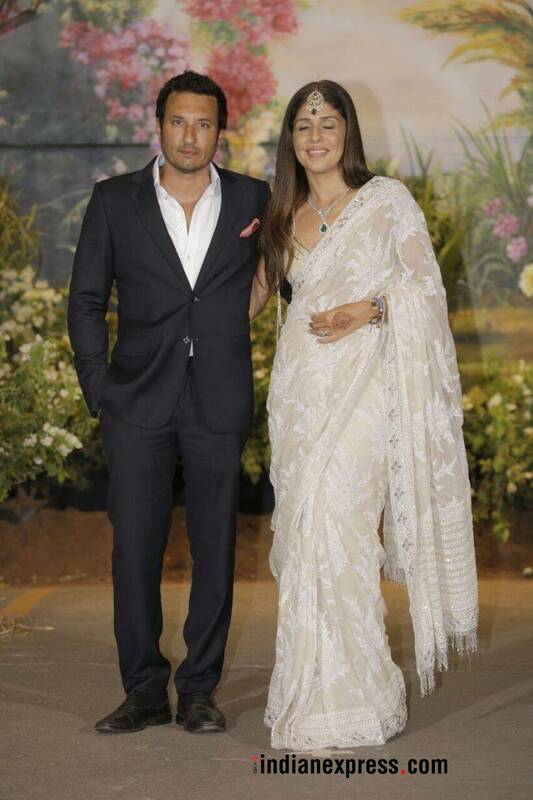 Filmmaker Homi Adajania and designer Anaita Shroff Adajania made a pretty picture at the reception.